We have so far examined the implications of President Buhariâ€™s travel ban on citizens, which literally is tantamount to denial of their traveling limbs (passport), a necessary corollary to freedom of movement. We however did some comparative analysis from other jurisdictions. Today, we shall continue and end this analysis with the position in India. In the above case, the petitioner filed the present petition under Article 32 of the Indian Constitution, alleging that the Respondentâ€™s action infringed his fundamental rights under Articles 21 and 14 of the Constitution; and prayed for a writ of mandamus directing the Respondents to withdraw and cancel the decision contained in the two letters. It was contended, inter alia, on behalf of the petitioner, that the right to leave India, travel outside India and return to India is part of personal liberty guaranteed under Article 21 of the Constitution; that refusal to give a passport or withdrawal of one already given amounts to deprivation of personal liberty inasmuch as, (a) it is not practically possible for a citizen to leave India or travel abroad or to return to India without a passport; (b) instructions are issued to shipping and air travel companies by the Central Government not to take passengers on board without a passport; (c) under the Indian Passport Act, re-entering India without a passport is penalized. That the deprivation of personal liberty in the refusal or impounding of a passport is not in accordance with any procedure established by law within the meaning of Article 21, as admittedly, there was no law placing any restrictions on â€˜the citizens of the country to travel abroad. Furthermore, the unfettered discretion given to the Respondents to issue or not to issue a passport to a person offends Article 14 of the Constitution. The Respondents contested the petition mainly on the grounds that no fundamental right of the petitioner had been infringed upon; that the petitioner had contravened the conditions of an import license obtained by him; that investigations were going on against him in relation to offences under the Export and Import Control Act; and that the passport authorities were satisfied that if the petitioner was allowed to continue to have the passports, he was likely to leave India and not return to face a trial before a court of law; and that therefore it was necessary to impound his passport. Further it was contended that the passport was a document which was issued to a person at the pleasure of the President in exercise of his political function and was a political document, and the refusal to grant a passport could not be a subject of review in a court of law. For the same reason, it was contended that the petitioner had no right to have the passports issued to him. The argument sounds very much like that usually proffered by Nigerian security agencies, not so? It was held (per Subba Rao, C.J., Shelat and Vaidialingam, JJ. ), that a writ of mandamus must issue to the Respondent to withdraw and cancel the decision contained in their letters dated August 31, 1966 and â€˜September 20, 1966. That a person living in India has a fundamental right to travel abroad under Article 21 of the Constitution and cannot be denied a passport because, factually, a passport is a necessary condition for travel abroad and the Government, by withholding the passport, can effectively deprive him, of his right. Maneka Gandhi immediately sent a letter to the Regional Passport Officer, inquiring about the grounds on which her passport had been impounded. She also requested him to provide a copy of the â€˜Statement of Reasonsâ€™ for making of such an order. The reply sent by the Ministry of External Affairs was that it was the decision of the Government of India to impound the passport in the interest of the general public. Also, there were orders not to issue her a copy of the Statement of Reasons. Gandhi thus filed a petition with regards to the matter. It was held by the Supreme Court that Section 10(3)(c) of the Passport Act confers vague and undefined power on the passport authorities. It is violative of Article 14 of the Constitution, since it does not provide for an opportunity for the aggrieved party to be heard. It was also held to be violative of Article 21 since it does not affirm to the word â€œprocedureâ€ as mentioned in the clause, and the present procedure performed was the worst possible one. The Court, however, refrained from proffering any formal answer on the matter, and ruled, instead, that the passport would remain with the authorities till they deemed fit. In E.P Royappa v. State of Tamil Nadu & Another,  2 SCR 348, the Indian Supreme Court had earlier held that Article 14 is one of the pillars of the Indian Constitution and hence cannot be bound by a narrow and inflexible interpretation. Article 14 should thus be given the widest interpretation possible, which also includes reasonableness and arbitrariness of certain provisions of the legislations. Based on these observations, the Court held Section 10(3)(c) of The Passport Act to be violative of Article 14 of the Constitution. In the case of Satwant Singh Sawhney v D. Ramarathnam, Assistant Passport Officer, Government of India, New Delhi & Ors (Supra), the Supreme Court held, by a majority judgment, that the expression â€˜personal libertyâ€™ in Article 21, takes in the right of locomotion and travel abroad, and under Article 21, no person can be deprived of his right to go abroad except according to the procedure established by law. This decision was accepted by Parliament and the infirmity pointed out by it was later set right by the enactment of the Passports Act, 1967. 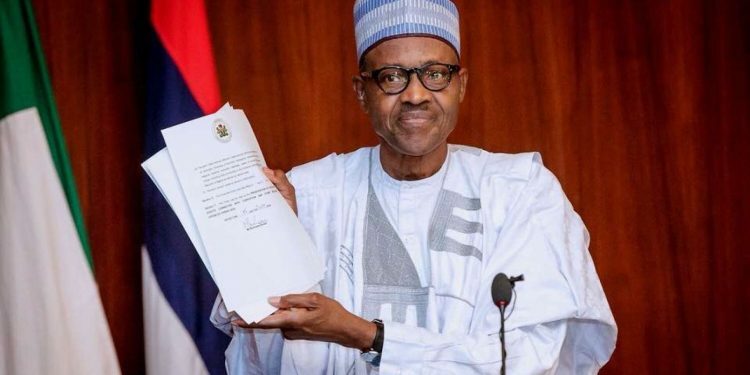 From my humble analysis of Executive order 6, the subsequent travel ban on certain unnamed Nigerians and comparative, case analysis from some jurisdictions, it is my firm, but respectful submission that President Buhariâ€™s Executive Order N0 6 and his subsequent ban on certain unnamed Nigerians, especially from the opposition and critical segments of the society, constitute flagrant and serial violations of the provisions of the 1999 Constitution, all known democratic precepts, cherished fundamental rights of citizens and the concept of the rule of law as ably espoused by Professor Albert Venn Dicey. The government is hereby respectfully urged to immediately cancel the travel ban, withdraw the offensive and unconstitutional Executive Order N0 6, and give Nigerians their God-given free air to breath. It was Billings Learned Hand, an American judge and judicial philosopher (1872 â€“ 1961), the Author of â€œThe spirit of Libertyâ€, who once wrote, â€œif we are to keep our democracy, there must be one commandment, thou shall not ration justiceâ€. He also wrote, famously, what do we mean when we say first of all we seek liberty? I often wonder whether we do not rest our hopes too much upon constitutions, upon laws and upon courts. Liberty lies in the hearts of men and women; when it dies there, no constitution, no law, no court can even do much to help it.â€ I most humbly rest my case. Last week, we started this vexed issue where politicians will be making hifalutin and grandiloquent promises. Today, we shall be continuing with the APC government of President Buhari, and their failed promises. Recall that in September, 2016, the same PMB/APC government (forget about their unnatural giving of jobs and Board apartments to dead people), had started a campaign termed â€œcharge begins with meâ€. It was still-born, dead on arrival. But, before its premature death, a young Nigerian creative Artist, Akin Fadeyi, claimed the idea was stolen from him, more like in a day-light robbery. As if this was not enough, the speech literally and figuratively plagiarized Obamaâ€™s 2008 historic victory speech, when he won election as American president. Buhari had said in his speech, â€œWe must resist the temptation to fall back on the same partisanship, pettiness and immaturity that have poisoned our country for so long.â€ This was nothing short of a bare-faced and rather careless lifting and plagiarism of Obamaâ€™s â€œLet us resist the temptation to fall back on the same partisanship and pettiness and imma- turity that has poisoned our politics for so long.â€ The same six and half a dozen. The same Romeo and Juliet. The same Hamlet and the Prince of Denmark! Buhari and APC had made 41 clear promises during their 2014-2015 presidential campaigns. They are on marble. They had promised an amendment to the 1999 Constitution to enthrone devolution of powers, duties and responsibilities from an asphixihiatingly behemoth and overbearing central government to the weak and beggarly federating units (states). This was to entrench true fiscal federalism and bring about a restructuring of Nigeria. They have not only denied this promise, they have actually questioned its usefulness, viability and desirability. Their two hand books, the manifesto titled â€œsecuring Nigeriaâ€™s futureâ€ and â€œRoadmap to a New Nigeriaâ€, also promised a decentralization of the Nigeria Police Force, so as to have state, local governments, city and community policing. They promised 5 million jobs by 2019, but Nigeria has lost over 11 million jobs in 3 and half years. Where is the amendment to the Land Use Act they promised? What of the PPP schemes that would ensure that every of the 36 states have one functional airport they prom- ised in page 11 of their manifesto? Have they built even one?